“Old wine in new bottles.” That might be one way to describe the estimated 500 to 1,000 mindfulness apps currently floating around in the digital ether. They guide users through time-honored mindfulness techniques such as breath work, body scans, sitting and walking meditation and visualizations. But they do it via your smartphone, so they’ve gotta be cool, right? Mindfulness apps leverage the high-tech smartphone advantages of portability and instant accessibility. Whenever you need a quick shot of serenity, it’s just a flick away. This can be a boon to novice meditators who need a little help focusing on their breath or tapping into other basic awareness techniques. 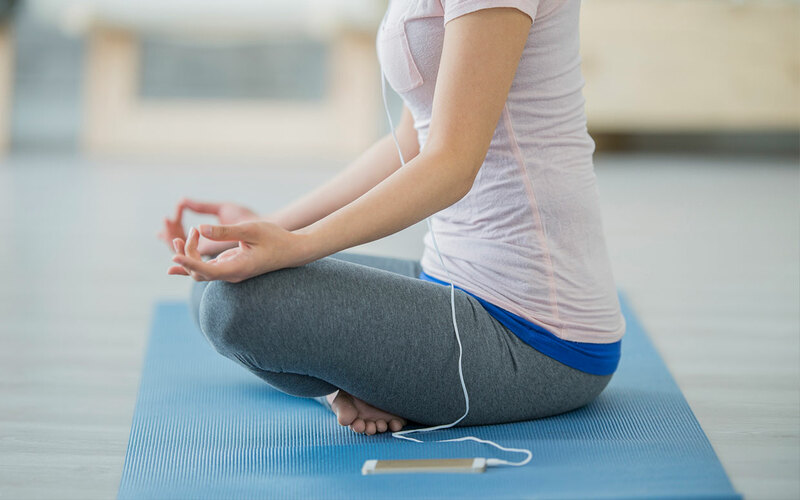 Mindfulness apps can also be a resource for useful information on meditation and related topics. As many people are afflicted with a compulsive need to stare at their smartphones, mindfulness apps are a good way to satisfy that craving while you work on letting your cravings go. Here are a few of the most popular ones. This free app provides mindfulness programs geared for every age group, from age seven up through adults. The adult program offers 10 modules of mindfulness training and guided meditations that develop skills such as remaining attentive to the present moment, improving listening abilities, engaging in mindful eating practices, attending to thoughts and emotions as they arise, developing intuition and integrating mindfulness into everyday living. There are also programs for the classroom, the workplace and sports. The not-for-profit company’s website claims that more than one million people are experiencing the many health and wellbeing benefits of Smiling Mind. Sounds True, a well-respected publisher of meditation books, audio and other media, offers this app that serves up teachings from leading mindfulness instructors, including Jon Kabat-Zinn, Jack Kornfield and Tara Brach. If you’re new to meditation, this app is a good introduction to the whole process. Extra talks are accessible on such topics as the science of mindfulness, varying definitions surrounding mindfulness practice and the neuroplasticity of the brain. Headspace is a downloadable subscription-based app that translates the core principles of meditation into a series of accessible exercises. They call it a “gym membership for the mind” that teaches people how to meditate and live mindfully in just 10 minutes a day. Headspace offers guided meditations on topics ranging from creativity to patience, as well as practices and exercises in breathing techniques and visualizations. Special programs for the workplace and kids are also accessible. Founder Andy Puddicome says of Headspace, “It’s not an hour. You don’t have to sit cross-legged, there’s no incense or any of the hippie stereotype stuff that scares people off.” The app already has fans like business titan Richard Branson, actress Emma Watson and the Seattle Seahawks. The initial sign-up is free, as is the 10-day program for those who want to test Headspace before buying a membership. This Webby Award–winning app takes its name from a basic three-step mindfulness process that it employs to help bring greater kindness and compassion into your daily life. It offers guided meditations for cultivating compassion, equanimity, joy, gratitude and other positive qualities, as well as meditations for falling asleep, mindful breathing, walking and other basic activities. There’s even a celebrity-guided meditation led by Buddhist singer/songwriter k.d. lang, who played a role in the app’s launch. The app was created to be a friendly and simple tool to guide people of all ages and backgrounds through meditations on mindfulness and compassion, with a number of features designed specifically for kids.